last week while moving some of my pictures from my old computer to my new computer I came across this picture I took a few years back when I attended a conference where professor davis gave the keynote. her talk was on race, health and justice and she spoke from the perspective of a lifelong social activist; and yes, as expected she was inspiring and empowering. since today is her birthday I thought I'd share the picture - although I would prefer that I could have caught a picture of dr. davis looking straight ahead, when one is playing paparazzi you get what you get! as a graduate student in sociology during the 1980s I read quite a few works by davis and was greatly influenced by her analysis of race, gender and class. given how the concepts of race and gender are currently being bandied about during this presidential race, it probably would behoove folks to revisit some of davis' classic works. as an aside, speaking of race have you read this about huckabee's free pass from the 'liberal media'? the media just never fails to amaze me! 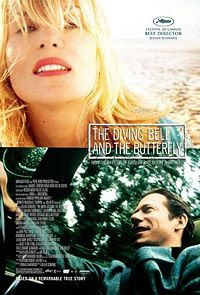 speaking of amazing and inspiring, earlier this week I went to see the movie 'the diving bell and the butterfly.' 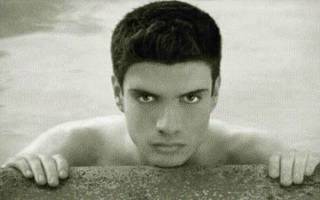 the film tells the story of jean-dominique bauby who became a victim of a rare condition called 'locked-in syndrome' after experiencing a catastrophic stroke. the film is based on bauby's memoir which he dictated by blinking his left eye - other than his mind, his left eye was the only part of his body which functioned. on every level I found this film absolutely brilliant - from the cast (mathieu amalric was incredible as bauby and my all time fave max von sydow plays bauby's father - though he didn't get as much screen time as I might have enjoyed, max freak that I am) to the cinematography, screenplay, and the musical soundtrack (it's not often I am so smitten by a movie's soundtrack that I'm eager to hunt it down!). I was interested in learning more about bauby's story so as soon as I got home I did a google, I found is a 1997 review of the book and it appears that the film is fairly true to bauby's memoir. good sign. the film is nominated for four academy awards - best director, best adapted screenplay, best film editing, and best cinematography. I found it odd that it was not nominated for best film (or best foreign film) - but I have yet to see all the films that were nominated in those categories. but, for what it is worth it did win the golden globe for best foreign language film. Sister Angela! I had the pleasue of hearing her speak this past autumn at Cornell. She is truly awe-inspiring and a long-time hero of mine. :) Thanks for posting this! Huckabee is sooooooo reprehensible. Just reading the Wikipedia article on him makes me cringe! Thanks for the movie recommendation! Definitely sounds most fascinating! I love good film!